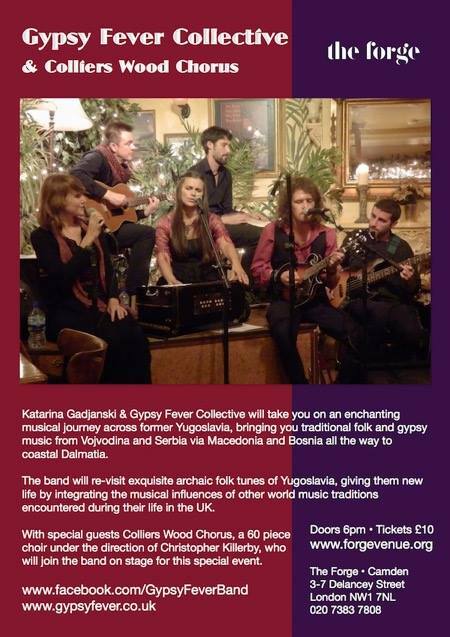 Our eclectic choir joined the eclectic Gypsy Fever for a Programme of music from the former Yugoslavia. The whole evening was streamed live and can be watched here. "Thank you Christopher, the choir was absolutely amazing! Not only that they sang so well and added a special spice to our music, but they bought all our CDs 'cause they wanted to support our new project. I was so touched!"